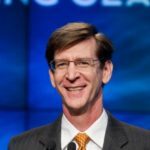 Jonathan L. Goodall, an associate professor of civil engineering with appointments in the Department of Engineering Systems and Environment and the Department of Computer Science at the University of Virginia, has been named a Fellow by the ASCE Board of Direction. Goodall’s teaching and research interests are hydrology, water resources engineering, and hydroinformatics. The focus of his primary research is creating new computational approaches for modeling hydrologic systems for sustainable water management and increased resilience to floods and droughts. Goodall has coauthored 44 peer-reviewed journal articles and 20 conference papers, and has directed over $4.5 million of externally supported research funded by federal, state, and private organizations. 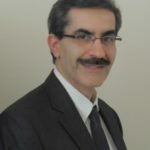 He currently serves as an associate editor for ASCE’s Journal of Computing in Civil Engineering, AGU’s Water Resources Research, and Elsevier’s Environmental Modelling & Software. 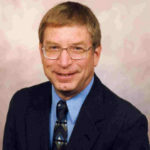 He also serves on the ASCE Surface Water Hydrology Technical Committee. 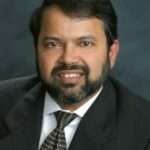 At the University of Virginia, he is associate director of the interdisciplinary Link Lab, on the steering committee of the Pan-University Environmental Resilience Institute, and an affiliated faculty member of the Center for Transportation Studies. Goodall has advised seven Ph.D. students, five M.S. students, and dozens of undergraduate students who now serve throughout the water resources community. He is the recipient of the National Science Foundation CAREER award and an International Society for Environmental Modelling & Software (iEMSs) Early Career Research Excellence award.